Norwegian pop singer Sigrid has her new song permanently etched in my brain at this moment. The young budding star has a deal with Island records and is quickly picking up a lot of popularity, and for good reason. Her unique vocals and smart, catchy lyrics really help sell her single "Don't Kill My Vibe". Also worth checking out is her performance of the song on NRK P3. 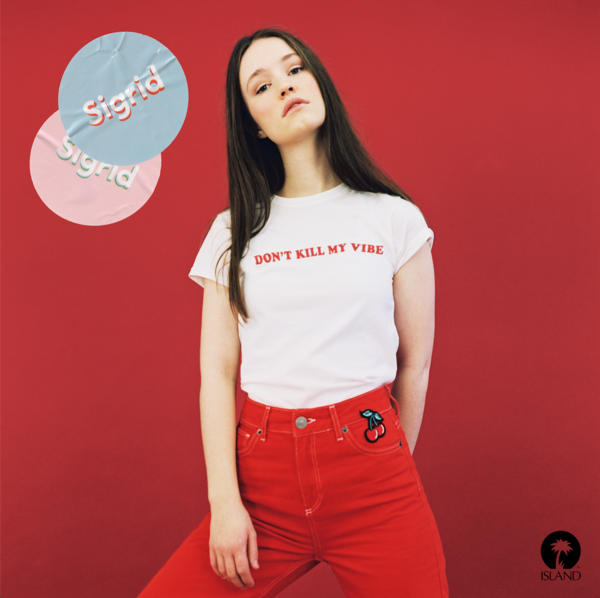 Sigrid just recently released an acoustic video for her song "Dynamite" which showcases her softer side and highlights her talents as a vocalist. Watch out for more coverage of Sigrid leading up to her album release. Make sure you are following her on Facebook and Twitter to catch up with all the latest, and for that matter be sure to follow Beneath The Grid Music on Facebook and Twitter to follow all the latest in music.